You know him, you love him, you can't live without him. Now you can own every uncensored episode of Chappelle's Show in this collector's edition set! Enjoy all your favourite sketches from Season One, Season Two and The Lost Episodes. From Tyrone Biggums to Lil' Jon to Rick James, every memorable Chappelle moment is here! 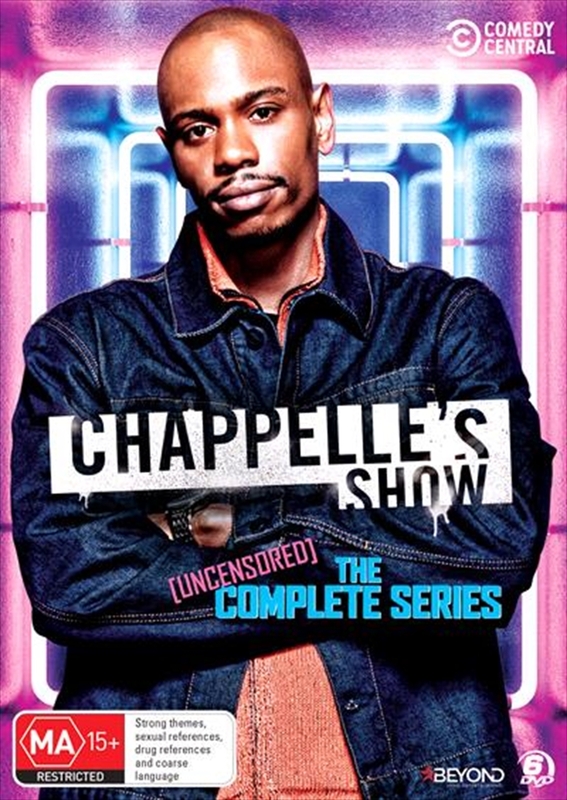 SEASON ONE - Chappelle's hilarious and defiant point-of-view is brought to bear in these twelve outrageous episodes consisting of sketches, pop culture parodies and live musical performances. SEASON TWO - From the Racial Draft to Black Bush, and everything in between. Rick James, Charlie Murphy and Wayne Brady join Dave Chappelle for some of the most intelligent and daring comedy to ever hit television. THE LOST EPISODES - The long-awaited lost episodes are finally here. Dave finally gets to meet Show Business, spend some time in his new crib, and show what happens when Lil' Jon goes Hollywood.